Besides IT security audits, we also provide IT security training and seminars. The main focus of our training is to allow students to obtain practical hands-on skills in combination with the necessary theory. 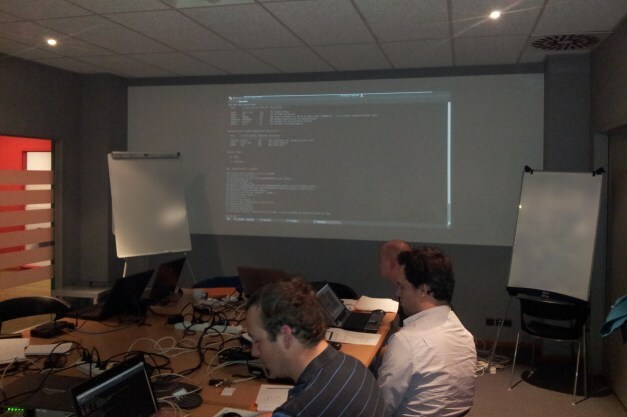 Each participant gets the opportunity to setup and configure his own test environment. We also provide courses custom tailored to your needs. As a Local SANS Mentor, MME is coaching the official SANS SEC560: Network Penetration and Ethical Hacking course. MME is also a Microsoft Certified Trainer (MCT). Do not hesitate to contact us if you have any questions, if you need more information concerning our security training or if you want a speaker on your seminar!